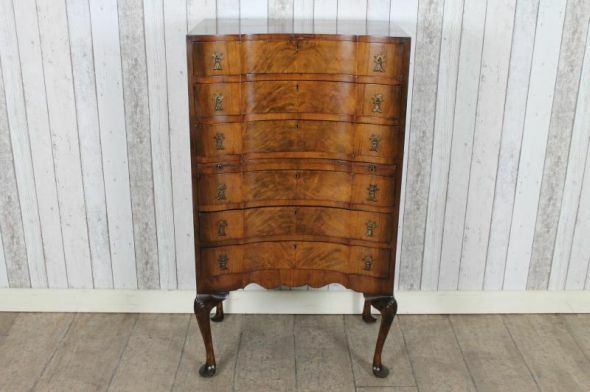 A fine example of a late Edwardian walnut veneered chest of drawers with a concave fronted design. This beautiful multi drawer chest with pull out brush slide is in excellent condition for its age, with just a moderate amount of wear and tear. It stands on elegant Queen Anne style legs, and is in a lovely chestnut colour. It would grace any period bedroom.